I tested out my modified Madam X on a day where there were reasonable numbers of fish looking up. The modified pattern was the one I wrote about previously, using the following pattern. The first thing that happened with this fly was three reasonable browns came up to just under it and then refused, or started to take then missed it. This forced a rethink, because it appeared that the body was too big. The cicadas in the Mohaka are about half the size of the cicadas in the Tongariro, and my fly was getting refused. By cutting between 5 & 7mm off the foam cylinder I had a fly that was closer to the size of the cicadas where I was fishing. The effect was immediate, with fish taking readily. As far as buoyancy goes this fly floats as you would expect. 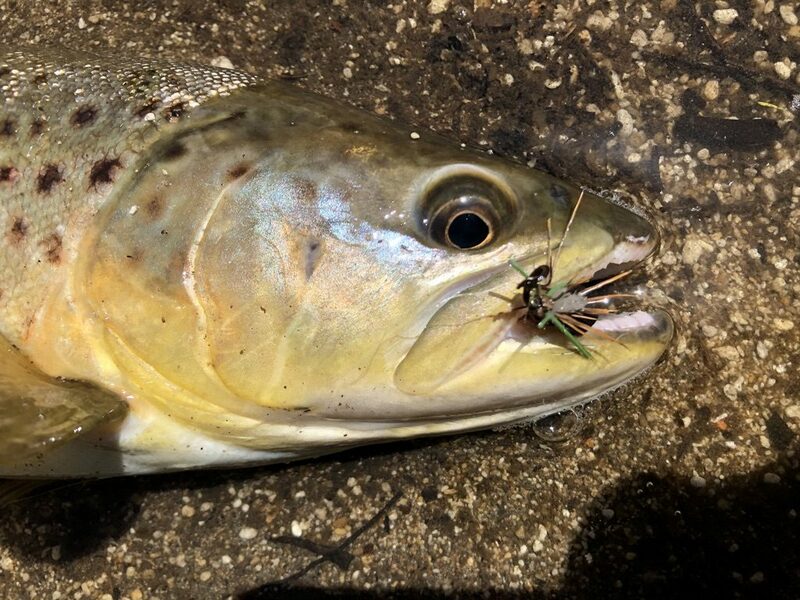 I did not use floatant all day, and while I did not fish blind the fly stayed on the surface on all casts where I was not fishing a dropper, and mostly floated when I was fishing a dropper. The white marker post did make the fly easier to see, though I was watching my fly so it did not make a huge difference. In rough water fishing blind it would have made a considerable difference. I have retied another batch of Madam X variants using a 13mm length of 5mm foam cylinder. 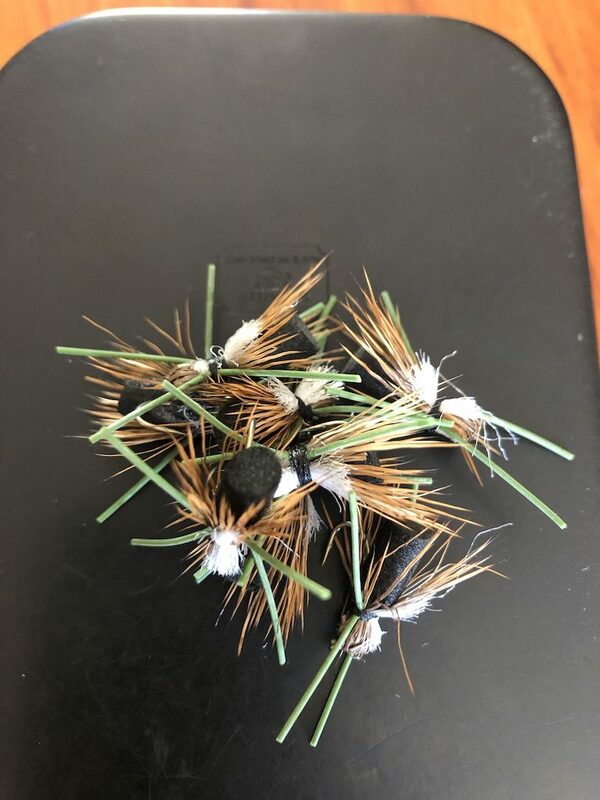 They look exactly the same as the trimmed flies that were taking fish on the Mohaka, and there were no issues with buoyancy with a shorter piece of foam.